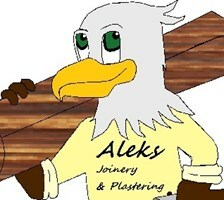 Aleks Joinery & Plastering - Plasterer based in Newcastle upon Tyne, Tyne and Wear. Family owned company with over 10 years experience in Joinery and Plastering trades. Please contact us for a no obligation free quote.